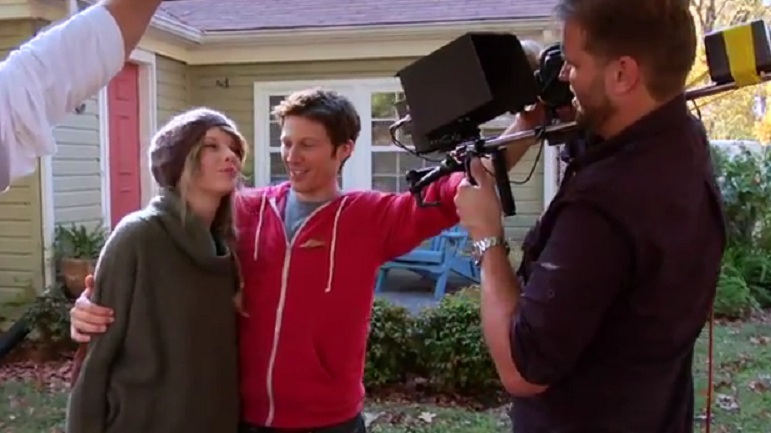 No, Taylor Swift, you can’t have Matt Saracen! 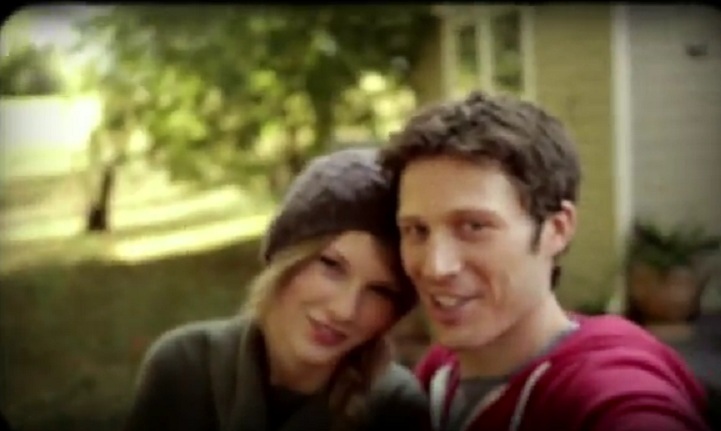 Zach Gilford in the music video for Taylor Swift’s song “Ours”. 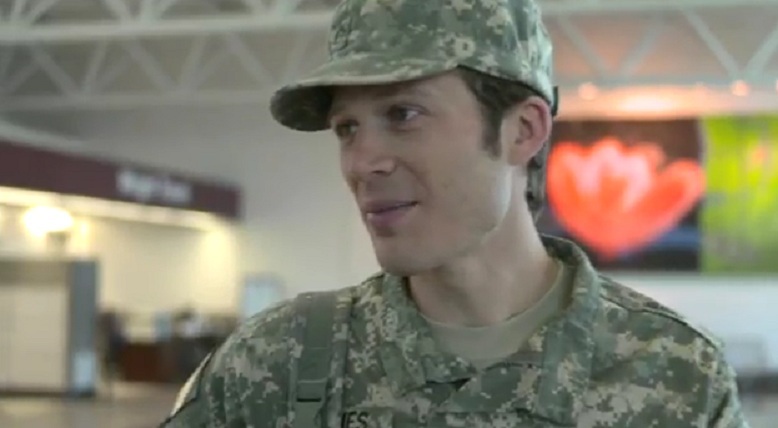 Gilford playing a soldier reminds me of all the drama Matt Saracen went through with his soldier dad in Friday Night Lights. Behind the scene look for the making of the music video. Oyyyy, this movie is going to bomb, isn’t it? Early reviews haven’t been kind, the lead is a TV actor with not much movie exposure (and let’s face it, as much I as love Friday Night Lights, it wasn’t exactly a big hit, rating-wise). And so soon after Avatar, do we really need another white-man-goes-to-another-planet-and-save-the-natives story? I feel bad for Andrew Stanton the director. I have such a soft spot for him (come on, what kind of heartless monster could dislike the guy who did Toy Story and WALL-E??) and I was hoping his first foray to live-action movie would be successful. And I guess it shows how much influence he has (had?) in Hollywood that the studio let him cast someone as relatively unknown as Taylor Kitsch as the lead of a 250 million dollars movie. 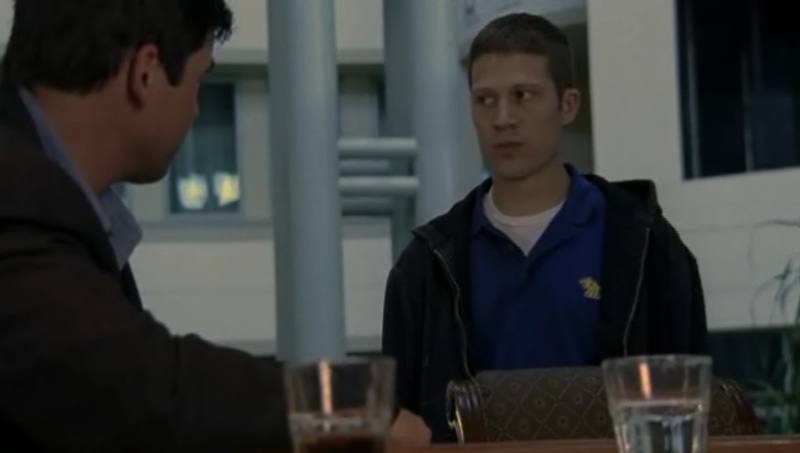 But ANdrew, did you even see Friday Night Lights before casting Taylor? 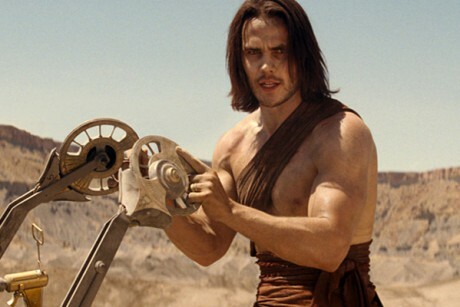 Tim Riggins is great, and I love him and all that, but …. it’s not really a character that demands a lot of acting, umm, talent, you know? Taylor was there mostly to look hot, rugged and mysterious, and he did that very well! But in the more emotional or intense scenes, you could clearly see the limits of Taylor’s ability. Casting a proven star who’s not a very good actor is one thing; casting a non-star who’s not a very good actor is something else altogether. But hey, maybe I’m wrong, maybe Taylor has improved a lot. I’ll probably see it anyway, even with the stinky reviews, for Andrew Stanton. Movies, dinner, get her in the backseat of your car, I don’t care, whatever. 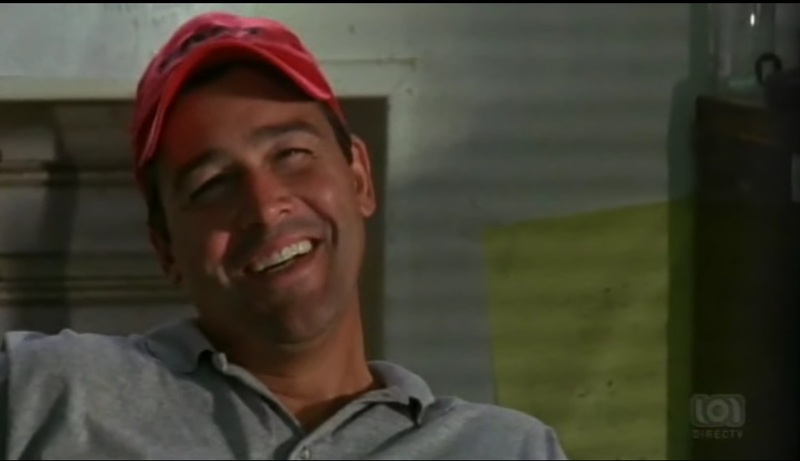 With all the speculation about a Frday Night Lights movie (based on the TV series this time, unlike the one based on the book), I’m in the mood for FNL nostalgia. Specifically, Coach Eric Taylor and Matt Saracen. 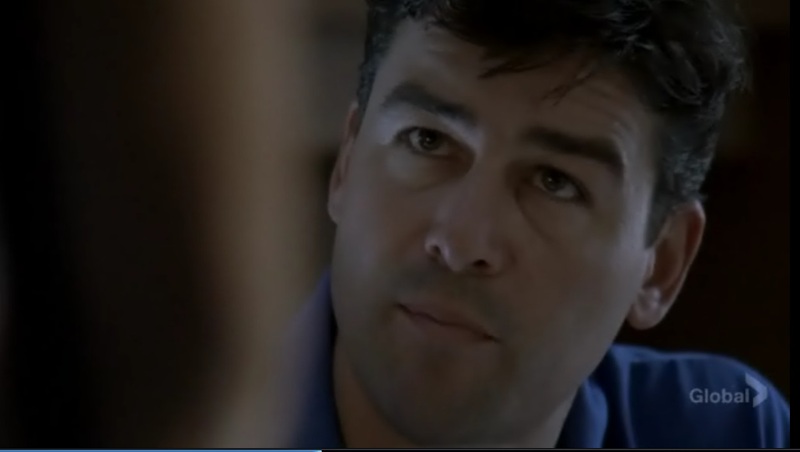 But not Coach Taylor as Matt’s coach and mentor, but as his girlfriend’s father. C: You got a girlfriend? M: Ahh … no sir. C: You have someone you’re interested in? M: Sort of … kind of. C: Sort of. Well forget about sort of. You know what? Take her out, you understand me? C: Movies, dinner, get her in the backseat of you car, whatever. But I’m telling you, you need to get loose out there, you’re wound up tighter than a rubber band, son. C: So tomorrow, you come to practive loose and focus. M: Loose and focus, yes sir. Hah! If only Coach knew which girl Matt is sort of, kind of interested in. M: I just need to talk to you for a minute. M: Look, I don’t want this whole thing to be awkward. C: You don’t want what to be awkward? M: This whole thing between Julie and I. C: It’s “Julie and me”. It’s a common mistake. Go ahead. M: Right. It’s just … I’m kinda sensing that … I’m sensing that you have a problem with it. C: Saracen, stop right there. If I don’t want you seeing my daughter, you’re not gonna see my daughter. M: No, you don’t understand, coach. C: You can go now. M: No, I don’t think you heard what I said. C: What are you doing up? It’s past your bedcheck. M: I was with your daughter. C: I understand if you’re pissed at me. That I took the job, that I won’t be here next season, that I’m taking Julie away. All I can say is I’m sorry. But let me tell you this and don’t forget what I say. If you’re ever lucky to have family, like I do, I promise you, you will understand. M: See you at the game. This is one pep-talk that fell really, really flat. C: How come you haven’t come over and see Gracie? M: Because I …. Julie’s been telling me about it. C: How are you and Julie doing? M: Good. Why? I mean, did she say that we … did she say anything to you? C: No, she didn’t say anything. She’s supposed to say something? There’s something I’m supposed to know? C: Just come over and see the kid. M: I was gonna come and see. It was just, you know, a lot of football, and she’s been lifeguarding, so … you know … I didn’t want to just stop by. C: Hey (shakes Matt’s hand and held it for a while). Don’t just stand by and watch it happen. You know what I’m saying? M: Yeah, I do. Thanks, coach. Oyyy, this is painful, with all the “you know”s, “I mean”s and “all right”s. When your girlfriend’s father is giving you relationship advice, it’s time to really panic. M: Coach? How it’s going? C: Come here. (Long, long pause). I know your father’s in Iraq, but if he was here, we’d agree on one thing, he and I, the both of us. And that is, women ought to be respected. C: (Cleans up the grill noisily and aggressively) That is my daughter! I feel for Eric here. He’s trying to thread two different needles. First, he’s the traumatized father who just saw his teenage daughter in bed with with her boyfriend (Really, Matt and Julie? Couldn’t you have locked the door? What if Grandma Saracen had walked in?) But then he must also be thinking that this boyfriend is also one of his players, whose parents are not around, and is probably in need of some parental guidance himself. There’s the protecting daughter instinct, and then there’s the responsibility to be almost like a surrogate father to some of his players. (I’m thinking of something Smash’s mother said to Coach Taylor, something like – I’m not asking you to be a father to this boy, I’m just reminding you that he doesn’t have one). M: Sir, I’ve known your daughter for a very long time now. And I know … you’ve known me for a long time, too, since I was young. Not that I’m old … I’mnot old now … but … I’m very mature for my age. I’d like your permission to marry your daughter, sir. C: (Laugh) You … what? Say that again? M: I would like to marry Julie. I love her completely, and I’m gonna take care of her for the rest of her life. So I just really want your blessing to ask her to marry me. (Long pause) Sir. C: Matt how old are you? C: You’re only 19 years old. C: Matt, how old is my daughter? M: Yes sir. I’ve … I’ve got a job up in Chicago, I’ve already had two promotions. C: The answer to your question is no. And the answer to your question is going to be no today, it’s gonna be no tomorrow, and it’ll probably be no until the sun burns out. Is that clear? M: Well, the thing is sir, we don’t actually need your permission. C: You damn well do need my permission. M: No … we … we actually don’t. I already asked her and she already said yes, so, you know, it’s really just a courtesy. Just hoping for your blessing. C: Let me do you the courtesy of telling you that my daughter’s answer to you is No. Boy, he really thought Matt was kidding, no? It will be no until the sun burns out? Ouchh. That’s very harsh. I understand not wanting Matt and Julie to marry now since they’re so young, but saying it will always be “no” is an overreaction, surely? Matt didn’t do so well either, saying all that stuff about not needing Eric’s permission and asking permission is just courtesy – obviously he’s right, but that’s not really going to convince the coach to give his blessing, is it? 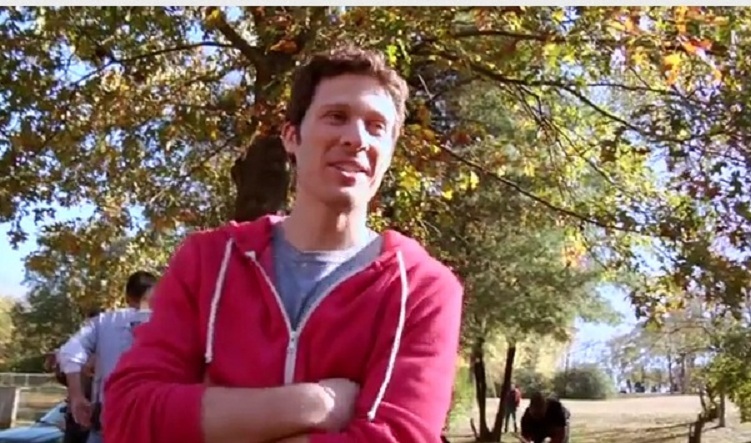 A few Matt and Julie squeee moments. I know a lot of people are not really into them as a couple (mostly due to Julie), but I thought Julie was a pretty good girlfriend to Matt. Sure, she can be really irritating and annoying in her interactions with her parents, in her other relationships etc etc, but she was really good to Matt (discounting The Swede incident, of course). Supportive, understanding, didn’t freak out about Matt’s complicated family life and all the family drama, was there for him during difficult times, even when they weren’t dating. Sometimes I feel like the writers forgot all about this Julie when they’re writing other Julie storylines. Julie breaking up with Matt because she needed to find her own path in life (“I need to find my own Chicago”). As break-ups go, this is certainly a better reason than the Swede. Matt at his father’s funeral. This episode (The Son, 4-05) is the best episode of the whole show for me. Matt always seems to say all the right things during these type of scenes, he’s like the Mary Sue of good boyfriend. Go Matty Sue! Matt and Smash, at the Alamo Freeze. It took me a while to realize that Landry never worked there, he was just bothering Matt at work. Some of my favorite songs from Friday Night Lights. This is the song playing after the Dillon Panthers won the State Championship in Season 1 and the players were being paraded around town. There’s something sly about the lyrics and how invested the town is in the success of a high school football team. Poor, sweet Matt, trying so hard to do the right thing. The song plays in the background as Matt is driving from Dillon to his mother’s house (so apparently he’s known all along where his mom is living?) to get her signature so he can be declared an emancipated minor and becomes Grandma Saracen’s legal guardian. This is the sound of impending endings and changes, playing over a montage of Tim and Billy getting the tuxedo for Billy’s wedding, Eric and Buddy playing golf, Tami and Eric buying a car for Julie (from, where else, Buddy’s dealership), Matt and Julie at the movies, Tyra and Landry at the lake, and Tim and Lyla lounging in the backyard. My choice for the most perfect soundtrack for a scene, probably ever. Matt’s father’s funeral. If your eyes weren’t welling up at least a little as Matt kept pounding and pounding with that shovel ….. This is from the kiss during the Julie-goes-to-Chicago-to-run-away-from-her-problems episode in Season 5 (or the I-don’t-want-to-be-your-safety-net episode). Runaway (The National)From the same episode, as Matt is running to chase Julie’s car to tell her he loves her and they’ll figure it out, somehow. Last we see of Julie Taylor on Friday Night Lights, she’s living with Matt Saracen in Chicago, going to college there (not sure if they are married or not, can’t see rings on their fingers). So Julie and Matt got their happily ever after, for now, at least. I would be lying if I say that I’m not touched by it, yes, yes, it would be a lot more realistic for them not to work out – how many first loves end up together after all? But awww, he proposed at the Alamo Freeze! How can I not root for them? What I’m curious about is Julie’s choice of men outside of Saracen. The Swede, the English teacher, the Habitat for Humanity guy, the TA, what do they have in common? Yep, older guys, in some cases, guys in position of authority over her (the TA and English teacher). What’s up with that, FNL writers? Just coincidence, or are you hinting at some sort of daddy-issues with Julie? Couldn’t they have given Julie at least one other normal love interest besides Matt? Yes, I know there’s also Matt and Carlotta, but I think it’s safe to put that into “horny teenage boy” basket rather than mommy-issue basket, even though Matt’s mother did abandon him.